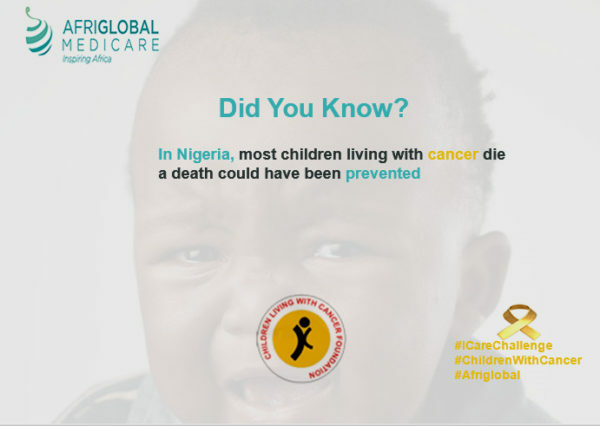 The love from Nigerians to children living with cancer is overwhelming, it is more than we hoped for. Nigerians are truly good people. All your prayers and kind words are constantly shown to these young ones and they feel so much more encouraged and now they believe they are not alone in their struggle. Tuesday, September 19th, 2017 at Alausa (10 Sunday Adigun street, off Kafi Alausa, beside Shoprite). Saturday, September 23rd, 2017 at LUTH Car Park Hall. 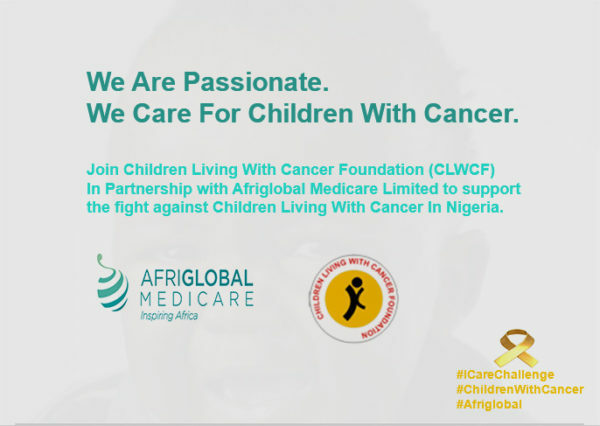 To continue in our awareness campaign, Afriglobal Medicare has partnered with Children Living with Cancer Foundation to provide free testing for children in Lagos State. The tests to be carried out are Full blood count and abdominal ultrasound scans. The purpose is to screen our children to prevent any form of cancer or related diseases and to ensure a cancer free life for our children. 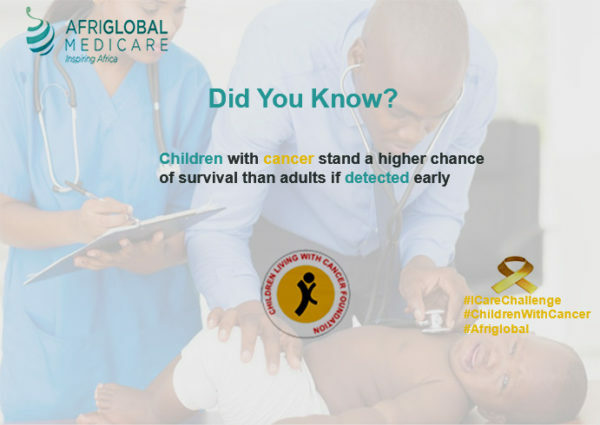 Remember if cancer is detected in time, the child has a high chance of surviving.